Lexus News and Rumors Section for the discussion of Lexus related news and rumors. We check in a Lincoln buyer that we highlighted in July to see how the switch from Lexus RX to Lincoln MKC has been going. 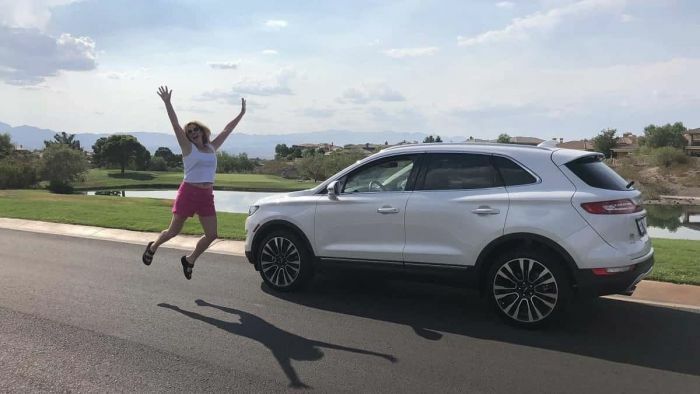 Last July, we highlighted the story of Jackie Ferrara who switched from a Lexus RX 350 to a new Lincoln MKC. What was unusual about Jackie's story is that she and her husband didn't own just one Lexus RX, but two. We found it interesting that a Lexus family would quit on the brand and move to Lincoln, so we conducted an interview with Jackie you can read here. With six months having passed, we thought we would check in and see how her experience with the Lincoln has been. TN - How long ago did you buy your MKC, and how many miles roughly on it? JF - I got the car in July. So six months and 4,200 miles on it.